As one of the Ireland’s leading web developing companies we are using many different platforms to deliver our work to clients, satisfying their needs and delivering results beyond expectations. Still, biggest portfolio of our designs is based on WordPress. In this and most likely couple more following posts I will show you why. Not so long ago for us web designers, and for you, soon-to-be well prospering new website owner, WordPress wasn’t a first choice to go with and use it as a tool to win your well deserved position in Google searches and rankings. Even today, despite the fact that it should be long forgotten, for some, WordPress is still only considered as a platform to put their blog on. Stay with me and I’ll explain why they are wrong with this judgement! Created in 2003 with blogging in mind indeed, WordPress wasn’t allowed by its committed enthusiasts to be just that. Shortly after the launch it started to evolve into a fully professional, most flexible and adaptive, fastest growing and always improving Content Management System (CMS). All that thanks to its loving community of creative web developers and supporters. At New World Digital we recognised its value and what it has to offer to our clients quite long time ago. Since then, we dedicated ourselves to fully explore the options and possibilities that WordPress provides, and today I decided to start a cycle of posts which will present you with few ‘why choose WordPress as website design platform?’ answers! Since I was eager myself to find out how WordPress actually presents itself towards its competitors these days, let me start off with some simple facts and statistics I’ve researched. One of the facts I find interesting and in my opinion they show nicely how popular WordPress became and how many people are reaching for it to power up their website design are the download counts. Based on 2013 statistics, WordPress CMS was downloaded over 46.000.000 times in 12 months period time. That splits into 126.000 daily downloads, 5.250 per hour, 89 per minute! To show you how fast the download number grows now with the latest 3.8 version of this software, which was only released in December 2013, I advise you to take a look at Live WordPress Download Counter. Thanks to data released by BuiltWith, you can see that WordPress is the leading CMS with almost 43% share in top 100k websites & over 51% in top one million sites (as I’ve checked today – 23/03/2014). Those numbers can’t be wrong! You really don’t want to stay behind, and you need to start using what simply works! That popularity is achieved thanks to extremely user friendly content management system and the huge supportive community behind WordPress, which is constantly producing new amazing features for this great CMS. 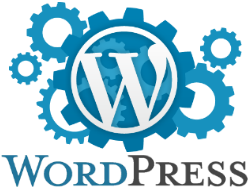 Today, WordPress is a well proven software trusted by large companies, small businesses and millions of website owners. By putting a trust in this CMS, you will find yourself in good company. “Big Guys” know it all. You should too! That’s just examples, the actual full list grows each day. It’s being filled not only by business companies & magazines, many celebrities and sport stars besides keeping themselves in touch with fans using various Social Media, also use WordPress on their official sites, as another way to connect with the world and share their thoughts, achievements and concerns. According to another source of useful statistics, Web Technology Surveys, out of all the websites in the World, over 64% is still not using any content management systems. Out of those ~36% that do use CMS, WordPress share of the market is over 60% (that’s over 21% of all the websites on the internet – as I’ve checked today 23/03/2014). 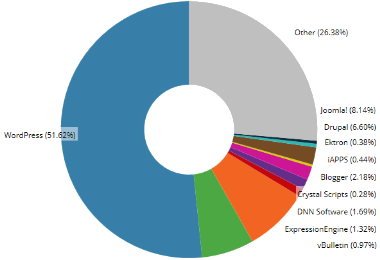 Just to bring your attention as to how at all looks comparing to few other popular CMS frameworks – Joomla grabs 8.7% usage share, Drupal 5.4%, Blogger 3.2%, Magento 2.6% and so on. All that popularity brings responsibility with itself, but that’s no secret for WordPress community of developers. This Content Management System is being constantly developed and improved. There were over 100 new versions released since the birth of this framework, with each frequent update it becomes more flexible, more secure, more user and SEO friendly. I will go into more details about WordPress friendliness and usefulness in many aspects in my next posts. Stay tuned!